The SEGA Dreamcast was one of my favorite consoles. With games like Sonic Adventure, Soul Calibur, Shenmue, and Powerstone, it had games that were full of pure fun. Years after I purchased an Xbox, a got a compilation disc with Sega GT 2002 and Jet Set Radio future. I loved racing games, but immediately gravitated towards Jet Set and played it nonstop. Long story short, I never played the original title but now have been able to see what the original was all about thanks to SEGA releasing an HD version of the title. The main story of the game focuses on a radio DJ named Professor K who reports the underground news to those who live in the fictional town of Tokyo-to. Rudies are the names for the skaters who roam the city and express themselves by tagging parts of the city, usually with unique art that lets people know who that artist is. Led by Captain Onishima, police officers began a major crackdown on tagging and set out to take down any rudies skating around Tokyo-to. There are different themes that are portrayed in the title, with the most significant to me being freedom and expression. In this game, you're not out to kill anyone or do any harm. You're just performing tricks, tagging areas, and avoiding police who will attempt to shoot you. While we can't just go and do this in real life, it's fun to play a game that lets you do this. 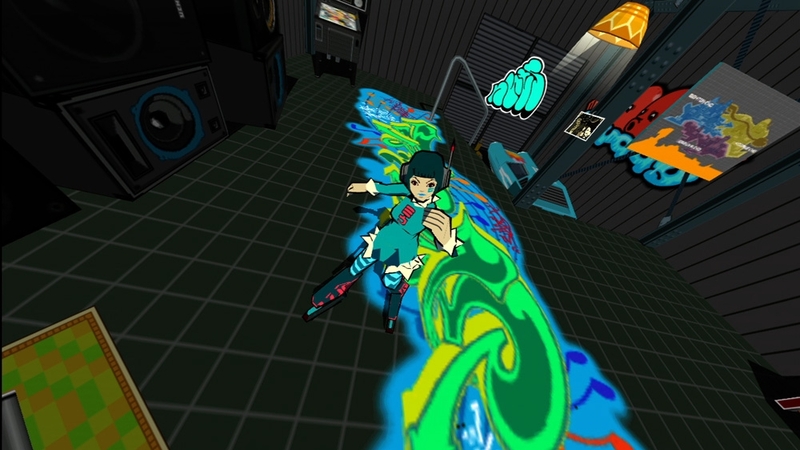 Jet Set Radio HD plays a bit different from JSRF. In this game, you have a time limit in which you must tag specific areas while avoiding the police who will attempt to stop you by any means. Levels are big enough to skate around and provide many place to grind and set up tricks that can link with tagging. Tricks are performed automatically, usually occurring after a jump, and help add to your over tally which can help boost your score on the leaderboards. Small targets that must be tagged can be easily performed with one button press, and the bigger objects require analog stick rotations. These prompts aren't difficult or anything, but you'll still have to be aware since the police can interrupt your tagging if they spot you in the level. Throughout the game, you'll be able to meet and unlock new characters to play as, with different attributes. If you don't like specific graffiti options, you could create your own to use to tag around Tokyo-to. SEGA was able to gain essentially the entire original soundtrack, so tunes that you remember from the classic title will most likely be heard in this new version. The songs are pretty catchy and help go with the underground theme of the game that the DJ will play. 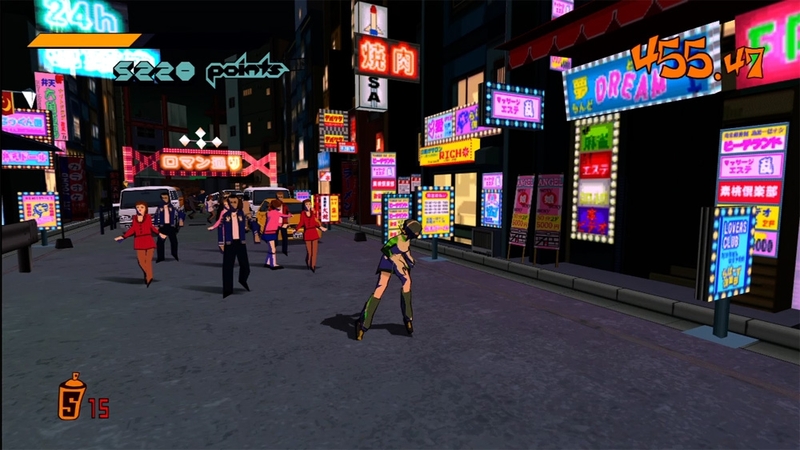 Visually the game looks nice in 720p, with the colorful world of Tokyo-to available in a greater resolution than the original. 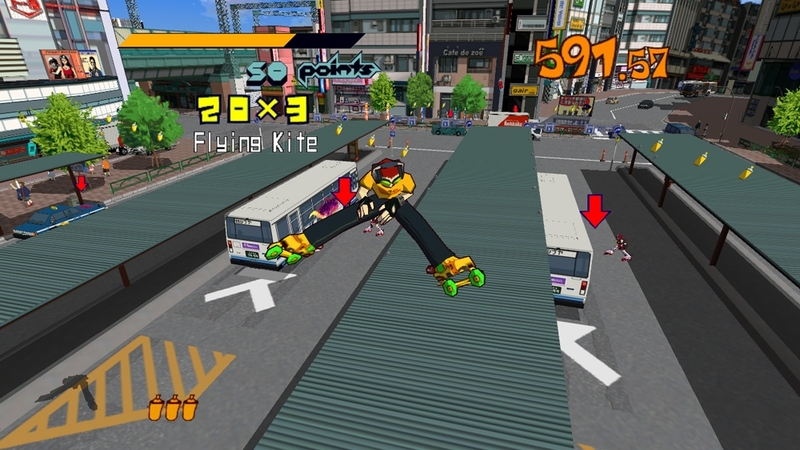 Jet Set Radio was among the first of cel-shaded titles, so the game's graphics are cartoony-esque and hold up well after all this time, similar to Nintendo's Wind Waker. New and old players of this game will enjoy all of the available features and the small asking price of $10. The game will be coming later for Vita, so even more people will be able to check out this classic game. 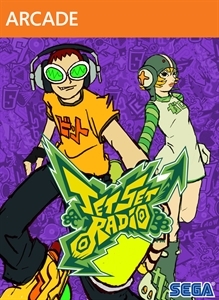 * I won a copy of Jet Set Radio HD from Gamertag Radio. Giveaway or not though, I would have still purchased the title. It is definitely worth playing! "Tag, grind, and trick to the beat in SEGA’s hit game Jet Set Radio! Fight for control of Tokyo-to, mark your turf with graffiti, tag walls, billboards, and even rival gang members! Perform tricks and flips on magnetically driven in-line skates, but watch out for the local police force! 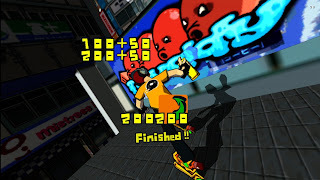 Now on Xbox Live Arcade, Jet Set Radio is part of Sega’s Heritage Collection series and now features lush HD visuals, developer interviews, and amazing fan-created graffiti."